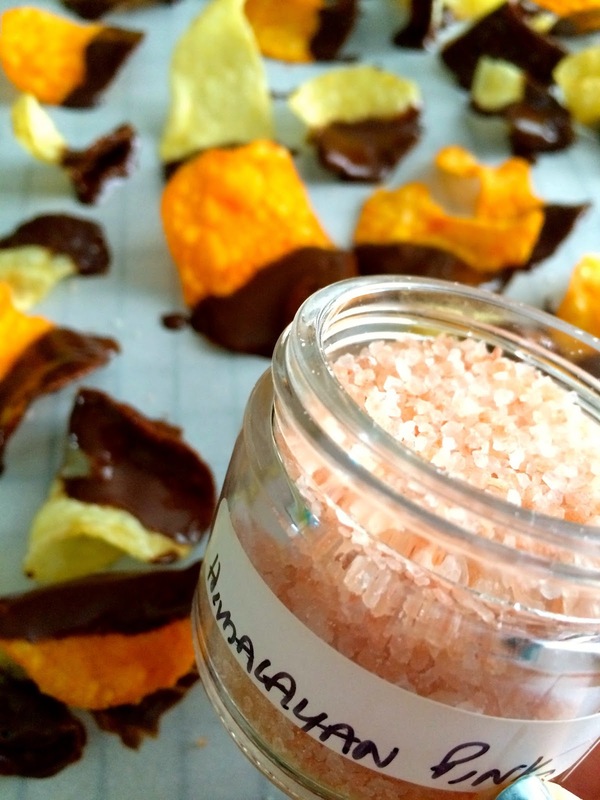 Looking for a quick and easy homemade gift for your beau, family member or friend on Valentine's Day? Follow a few easy steps below to wow your loved ones! 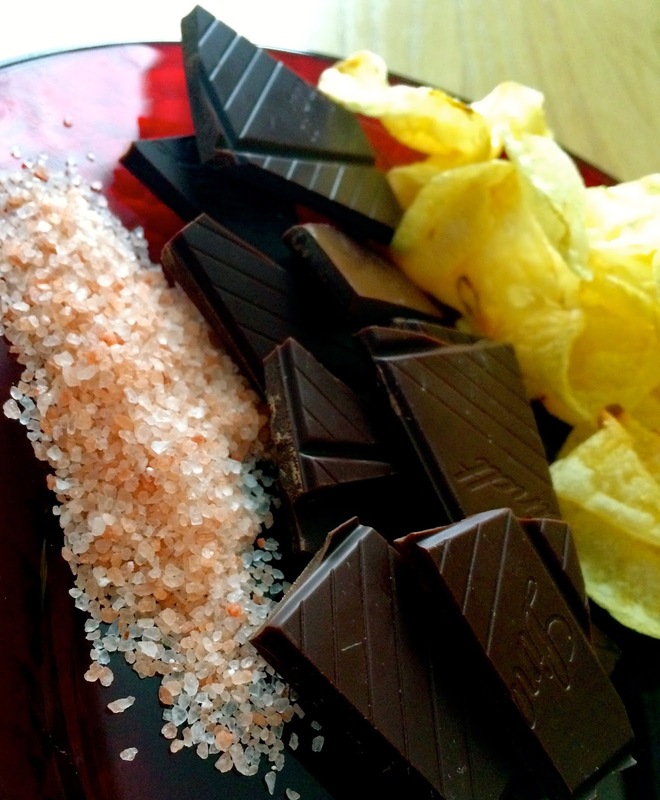 First, grab your favorite bar of dark or milk chocolate, your favorite potato chips and finishing salt. Next, cut up the chocolate into medium-sized pieces and place them into a bowl fitted over a pot of simmering water over medium heat on the stove. Make sure the water is simmering, not boiling. Stir the chocolate until just melted and remove from heat. 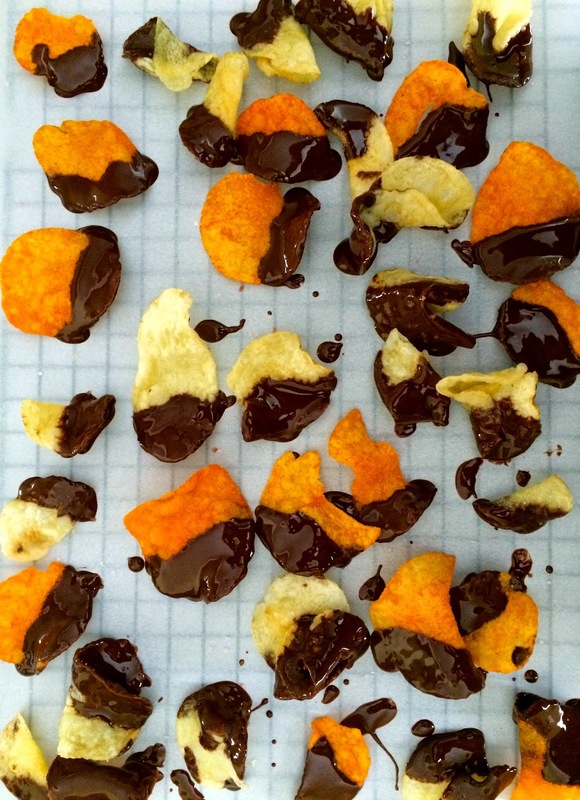 Next, dip your chips in the warm pool of chocolate and let dry on a lined baking sheet. 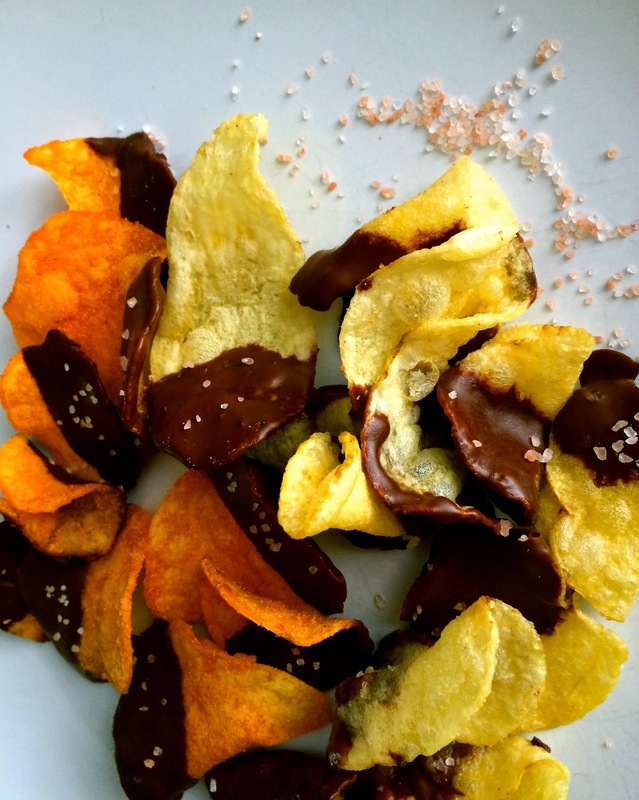 For a touch of pink, sprinkle the chips with Himalayan pink sea salt. Let the chocolate chips set for at least 10 minutes and serve. 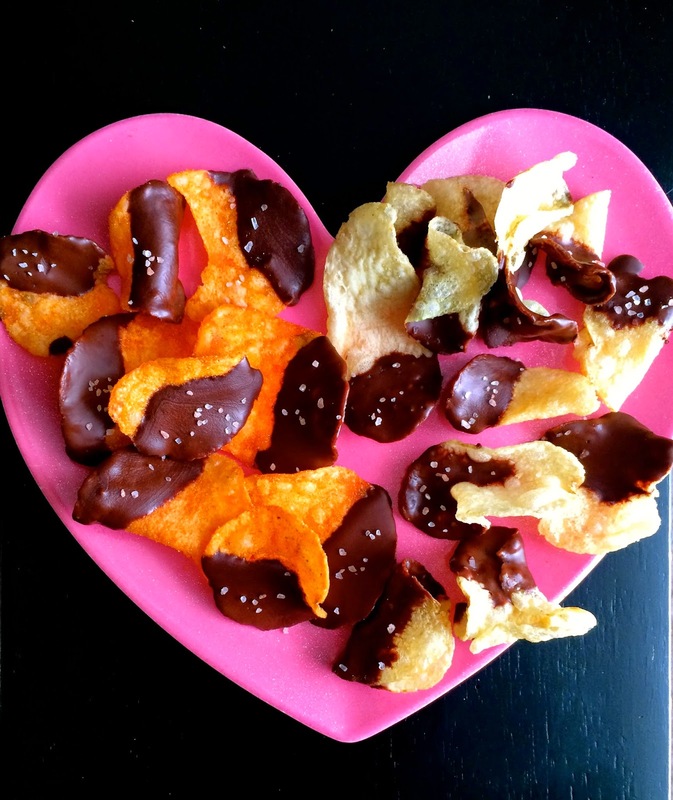 Happy Valentine's Day from Twin Tastes!